Ethnic Arab (Ahwazi) refugees from Iran now living in Damascus have expressed fear as news emerged that Syria has deported three more Ahwazi activists to Iran, where they face torture and execution. Three Ahwazi activists, thought to be imprisoned in Damascus since their arrest in April, were deported to Iran in May, Sima Watling of Amnesty International's East Gulf team told IRIN on 6 December. Watling said relatives of two of the men, Rasool Mazra - whose family has resettled in Norway - and Taher Mazra - whose family was prevented from leaving Syria for Sweden in October - had received telephone calls from the men to say they were being held in Karoun Prison, in Ahvaz, the capital of Khuzestan. On 7 December, a source who spoke directly to the family of Taher Mazra told IRIN that Taher Mazra was, indeed, forcibly returned from Syria to Iran in May. The source, who spoke on condition of anonymity, said Rasool Mazra had also called his family in Khuzestan to say he was imprisoned and was facing imminent execution. Both men had been recognised as refugees by the office of the UN High Commissioner for Refugees (UNHCR). Laurens Jolles, acting head of the UNHCR in Damascus, said that despite numerous requests, the agency had been unable to obtain information about the status of the Ahwazis arrested in Syria. "Syria is aware that its own constitution prevents the deportation of refugees to countries where they will face persecution, as do international laws," he said. Both men are members of the Ahwazi Liberation Organization (ALO), the Ahwazis' leading political opposition movement, and according to their families they had been tortured since their recent captivity in Iran. The third Ahwazi, Jamal Obaidy, Chair of Ahwazi Student Union in Syria, is also believed to have been deported to Iran, though no contact has been made with his family. Neither Iran nor Syria have confirmed or denied any of the three returns. The UNHCR in Damascus is currently unable to confirm that Rasool Mazra, Jamal Obaidy and Taher Mazra have been deported from Syria to Iran. The news followed two similar cases of deportation. Faleh Abdullah Mansuri, the 60-year-old head of the ALO who holds Dutch citizenship, was also arrested by Syrian security in April while he was visiting an Ahwazi friend in Damascus. Syrian authorities confirmed earlier this year that Mansuri, also a UNHCR recognised refugee, was deported to Tehran in May at the request of Iran, just a few weeks before the two countries signed a landmark agreement on military and security cooperation. Mansuri is now reportedly in prison in Tehran, facing a sentence of death by hanging imposed on him in 1988 by a military court, apparently in connection with his activities as a member of the ALO. Saeed Saki, also a member of the ALO and a UNHCR refugee, had been due to be resettled in Norway when he was arrested and extradited to Tehran. 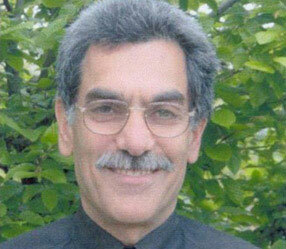 Only high-level intervention from international officials prevented his execution, and he remains imprisoned in Iran. Since an uprising by Ahwazis in April 2005 - a two-month campaign of civil unrest that culminated in a bomb attack on an oil installation east of Ahvaz - Iran has intensified its campaign against the Ahwazis, detaining more than 25,000, executing at least 131 while more than 150 have disappeared, according to the US-based Ahwazi Human Rights Organisation. Amnesty International report that following the uprising hundreds of Khuzestan's Arabs were arrested, some were reportedly tortured, and at least two men were executed following unfair trials. A source at the Iranian embassy in Damascus, speaking on condition of anonymity, denied that any prisoners of conscience had been extradited from Syria to Iran. "There is an agreement between Syria and Iran that any Iranian who has been jailed in Syria for a crime can be transferred to complete his sentence in Iran," he said. "But no prisoners of conscience have been handed over to Iran by Syria." Ahwazi refugees first began arriving in Iraq and Syria in the 1980s during the Iran/Iraq war as Tehran accused them of supporting Baghdad. The past two years has seen concern rising about the deteriorating human rights situation in Khuzestan where activists estimate some 1.5 million Arabs have been driven off their land by a series of vast state-sponsored industrial projects, coupled to massive organised influxes of Persian workers and their families. According to human rights organisations, individuals promoting Arab rights in Khuzestan have been targeted, and access to the region has been denied to foreign and local journalists.